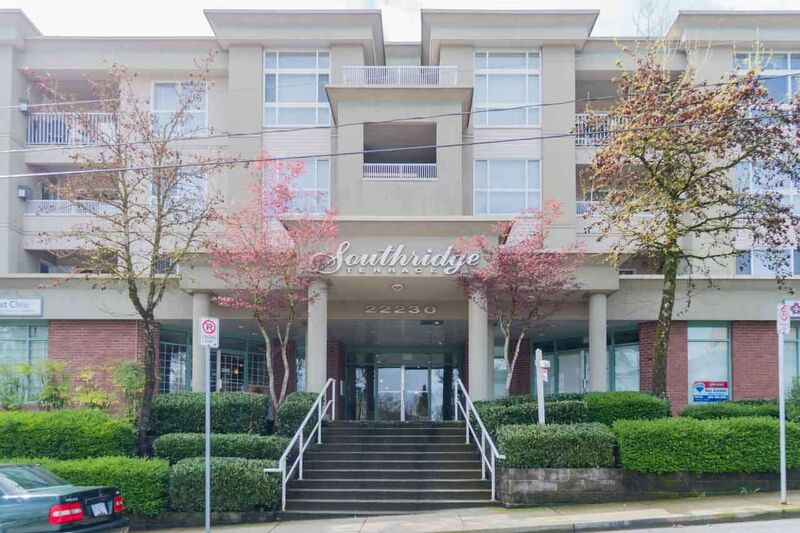 SOUTHRIDGE TERRACE - Spacious 2 bed 2 bath Centrally located condo. Walk to everything including Westcoast Express, Shopping, Rec Centre, & Haney Farmers Market. Over 1100 sq ft, one of the largest units in the building, very well maintained and features Kitchen with breakfast bar, Golden Ears Mountain view, gas F/P. Large master suite with his & her closets & 4 piece ensuite. Laundry room offers insuite storage. Gas & Hot water included in the maintenance fees. 1 parking storage locker, rainscreened building, no rentals & 1 pet allowed.